Wondering how to get your kids off their devices and outside? 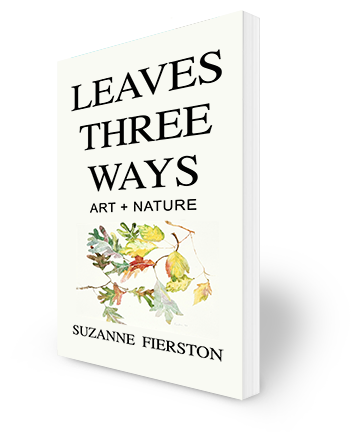 Have fun with the first chapter of my book Leaves Three Ways! Take a walk outside, gather some leaves, and start printing. You don’t have to be an artist to teach your kids how to make art from nature. Let me know what you think and have a great time! I love, love, love this book! It is beautiful, clear, inviting, and classy. Suzanne combines her talents as an artist, writer, and teacher to invite us all outside.